High quality X-hose connector made from brass. 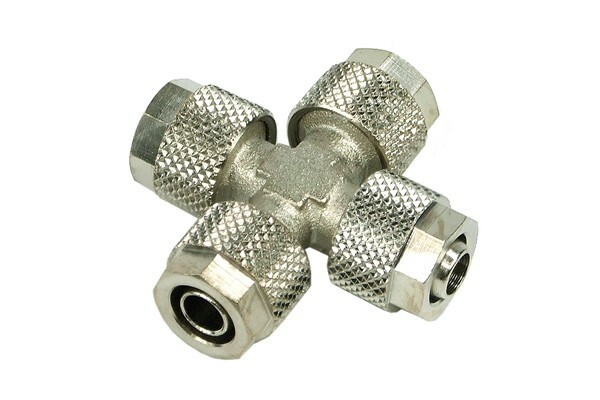 4 hose endings can be attached and sealed by the union nut. This system ensures maximum safety and ease of installation.